Why don’t we stutter when we sing? Have you ever noticed that you don’t stutter when you sing? Or if you’re a person who doesn’t stutter, have you ever wondered why you’ve never heard someone stutter while singing? If you watch the video below of Harrison Craig – season 2 winner of The Voice Australia 2013 – you’ll understand how big the change between speaking and singing can be for someone who stutters. It’s an interesting observation, and there’s no single answer for why this phenomenon occurs. 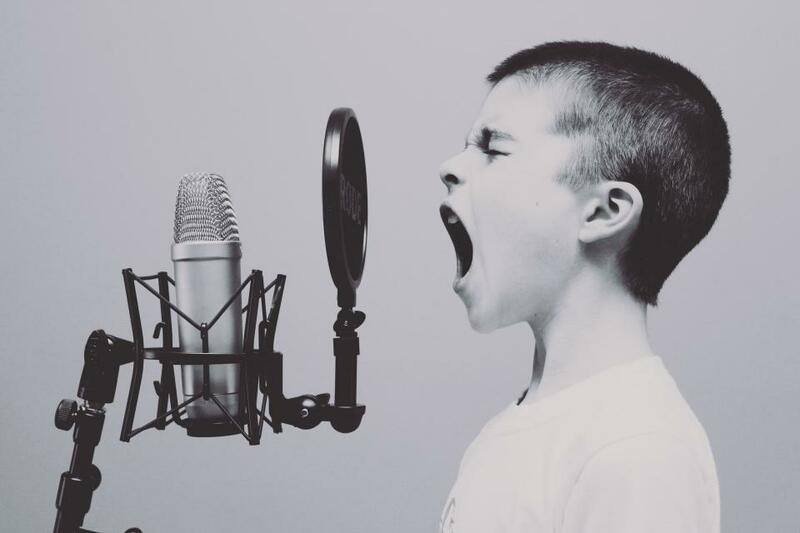 Scientists and researchers have worked hard to answer many difficult questions about stuttering, however when it comes to the singing debate, there are a few strong theories. This is an interesting observation and could very well be why singing is unaffected by stuttering. It’s true that in order to sing (well), we need to alter the way we use our vocal cords, as well as how we shape our tongues and mouths. There is a theory that this could have a part to play in why people don’t stutter when they sing and is attributed as one of the potential reasons by The Stuttering Foundation of America. Most communication is two-way. It involves an unpredictable conversation, where you can’t plan your next answer. It also holds the potential for the other person or people to interrupt, or to become impatient. Singing, however, is mostly one-way communication, and eliminates the possibility for these challenges. We have often memorised the lyrics when we sing, rather than facing an unpredictable conversation, and unless we are at karaoke it’s unlikely anyone in the audience is planning to interrupt. We have had many parents comment that when a child is playing by themselves, or talking to themselves, that their stutter is not present. This could be similar to why one-way communication in singing reduces stuttering. These three theories may or may not be the reason why we don’t stutter when we sing, it may be a combination of the three, or it could even be something else. The truth is, there is still a lot of research to be done. What we do know, however, is that while singing, putting on an accent, or otherwise altering the way you speak can reduce stuttering, it is still not a permanent cure – it’s unreasonable to expect someone to alter their speech 24/7. However if you are concerned about your stutter, please speak to one of our Speech Language Therapists first, before resorting to singing for the rest of your life. Previous Previous post: What does a donation to our charity do?